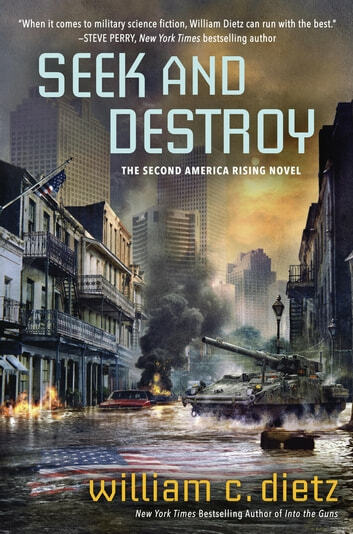 As people fight to survive the aftereffects of more than a dozen meteor strikes, a group of wealthy individuals conspires to rebuild the United States as a corporate entity called the New Confederacy, where the bottom line is law. As a second civil war rages, with families fighting against families on opposite sides, Union president Samuel T. Sloan battles to keep the country whole. To help in the fight for unity, Union Army captain Robin “Mac” Macintyre and her crew of Stryker vehicles are sent after the ruthless “warlord of warlords,” an ex–Green Beret who rules a large swath of the West. But defeating him will be even more difficult than she thought. The warlord is receiving military assistance from Mac’s sister—and rival—Confederate major Victoria Macintyre. And when the siblings come together in the war-torn streets of New Orleans, only one of them will walk away.